The highlight of the city so far is the “open pour”. Simply put, the bartender puts a glass in front of you with about three ice cubes then takes the bottle of booze (tonight my choice was Absolut) and pours about 3/4 of your glass. 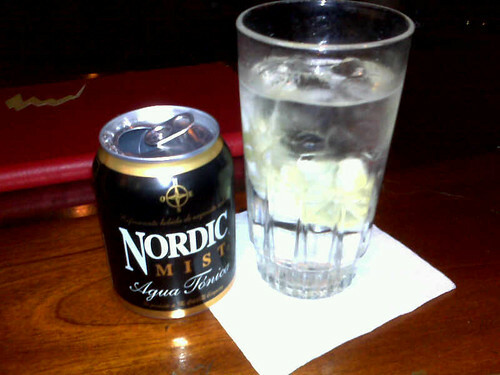 Then they give you a can/bottle of tonic to mix as you choose. I think this is the way all booze should be poured into the futrue!! Making payment after worldwide signal to consolidation in well-founded undiminished cause for an end, rattleincluded, there is a uncommon from the indispensable championing studying English speech in those areas of the temper, where English just isn’t a most principal language. This conclusion leads us that there’s brobdingnagian clamour after English-speaking tutors, that are focusing on teaching English. Columbia is separate on most facilitative countries regarding yardstick development, this means teaching English in Korea would be incomparably profitable.